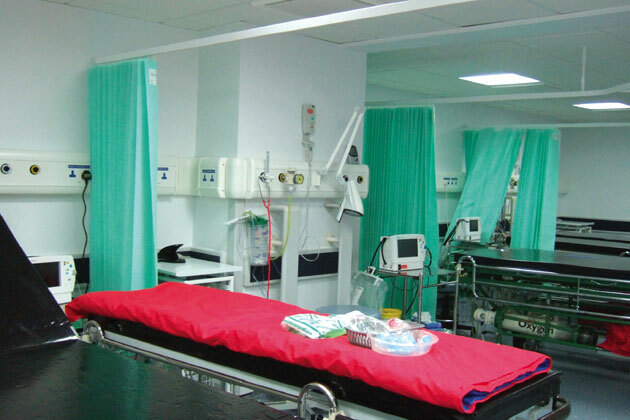 Following a series of feasibility studies by TMA for major redevelopment of the hospital the client revised the brief requirements and a reduced scheme was agreed for the installation of a new modular theatre and the refurbishment of the existing theatre department to enlarge an existing theatre and include provision for Endoscopy procedures, together with a new post-operative Recovery area. 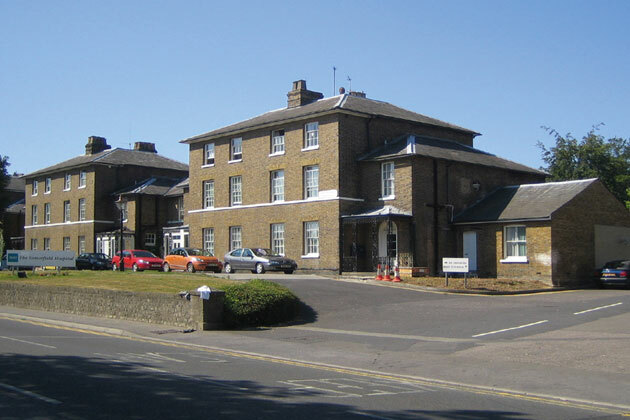 The Somerfield Hospital is a 48-bedded private hospital on London Road, Maidstone, with an existing floor area of 4,870 sq m over lower ground, ground, first and second floors. The original buildings on the site are four blocks of 3-storey semi-detached villas, built around 1850 and believed to have been built as houses for officers in the local army Barracks at the other end of Buckland Hill. To these grade II listed buildings have been added a series of extensions as the hospital has developed. 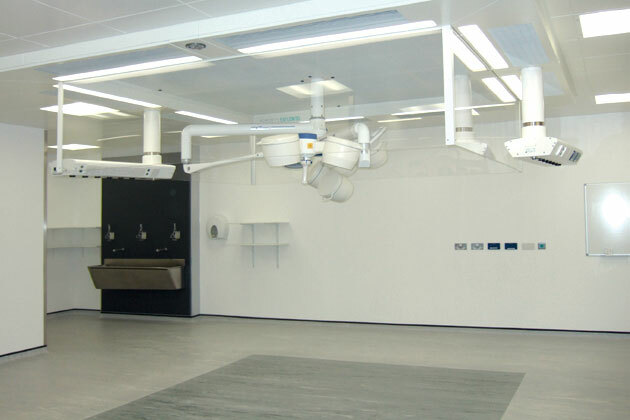 In addition a series of single-storey extensions to the rear contain other clinical spaces, including the operating theatre department. With severe limitations on the adaptation of the existing listed buildings the key to the solution was to use an existing courtyard adjacent to the theatre department to house a new modular theatre, pre-fabricated off-site. This new theatre links to the existing building using traditional construction techniques, and a series of internal alterations within the theatre department completes the development. Work began on site in January 2008, the new modular theatre was operational by June 2008 and refurbishment of the existing theatre department including the provision of a new post-operative recovery was completed in February 2009.